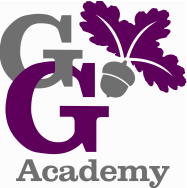 I decided to be a teacher after working as a volunteer with George Grenville Academy and realising how much I liked being with all the pupils and staff. Being a teacher is much harder than I thought it would be, but I love that every day is completely different. I love teaching Art and Philosophy for Children the most. I'd love to be a costume designer. My favourite subjects were Art and French. I was told off for throwing work away if I wasn't happy with it. As part of our Space theme, Year 4 enjoyed - and learned- a lot from our Educational visit to the Leicester Space Centre! Year 4 have been developing their artisic skills by working on markmaking - individually and as a collaborative group. Ofsted said: "In a key stage 2 art lesson, the class teacher’s careful explanations of different artistic techniques enabled pupils to broaden their skills in the creative use of pastels. Pupils worked together to create a dramatic frieze of galaxies, stars and planets." As part of their D&T project, Year 4 learned about the life and experiments of astronauts, including pneumatics. They used their knowledge, understanding and creativity to design and make moving model aliens.